Latinoware partners with FISL, the Free Software International Forum, as the largest Free Software event in South America with over 5,000 expected to attend. Mr. Cesar Brod, Director of Regional Development Brasil at Linux Professional Institute (LPI Brasil), will be speaking about the importance of fostering education and certification in business. Jon Hall, LPI’s Chair, will be delivering a keynote for Linux International, as well as supporting LPI at the show. Henry Chalup, Director General LPI — España e Hispanoamérica, will also be speaking at the event. In fact, Henry will be busy this month speaking at several other events in Argentina including CISL (Conferencia Internacional de Software Libre), where Jon Hall will also be presenting. LPI will be well represented at the event, as well as offering 20 LPIC-2 beta exams, and for fun, 1,000 temporary tattoos. Jon “maddog” Hall and Cesar Brod just finished attending the First Ubatuba MeetUp — Free Software and Free Culture Event in Brazil last week. Many Linux and Open Source workshops are to be held at Ubatuba, an ocean side city northeast of São Paulo. Interestingly, the city has its own Linux Distribution, Ubatux. 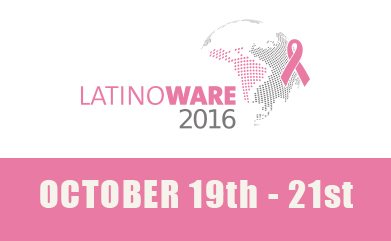 For more information, visit the Latinoware website at www.latinoware.org. For more information, visit the Ubatuba event website at www.ubatuba.sp.gov.br/smti/software-e-cultura-livres-sao-tema-de-encontro-em-ubatuba.